Brava! 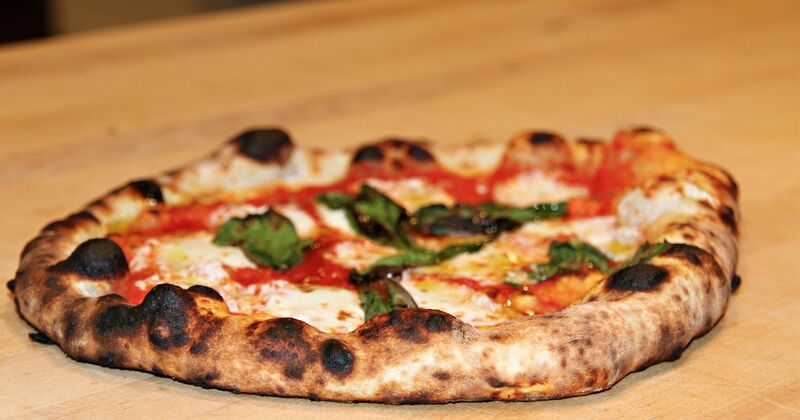 Pizzeria specializes in traditional wood-fired pizza. Our Neapolitan inspired pizzas are the thoughtful culmination of fresh local ingredients, a wood-fired oven, and the culinary expertise of a Denver-raised and Italian-trained chef. Brava! is about bringing pizza back to its rustic, ‘compania’ roots, letting the simple ingredients shine. We have two great Denver locations! One in the heart of downtown Denver on 16th Street and Arapahoe at the base of the famous Clock Tower. The other is in the NEW Avanti Food and Beverage community eatery at 3200 Pecos Street. Brava! also offers a unique catering experience with authentic Neapolitan style pizza created on site with our wood fired oven housed on a mobile trailer. Sure to be a crowd pleaser, your guests will be delighted as they enjoy pizza as it should be, made from fresh local ingredients with authentic taste and texture. Our commitment to community is one of the things that both inspires us and makes us who we are. From the farming and ranching community that supports us with our carefully sourced local ingredients, to the communities that we support such as Slow Food Denver and their Garden to Cafeteria program, we are indebted to the continuing cycle and local circle. To sum it all up, Brava! Pizzeria is about feeding a passion that is seeking a truly delicious pizza.